What do you have to focus on if you’re getting ready to scale your small business? There are SO many things, so how do you know where to start? Scaling your business might even feel like a scary term, but it doesn’t need to be. 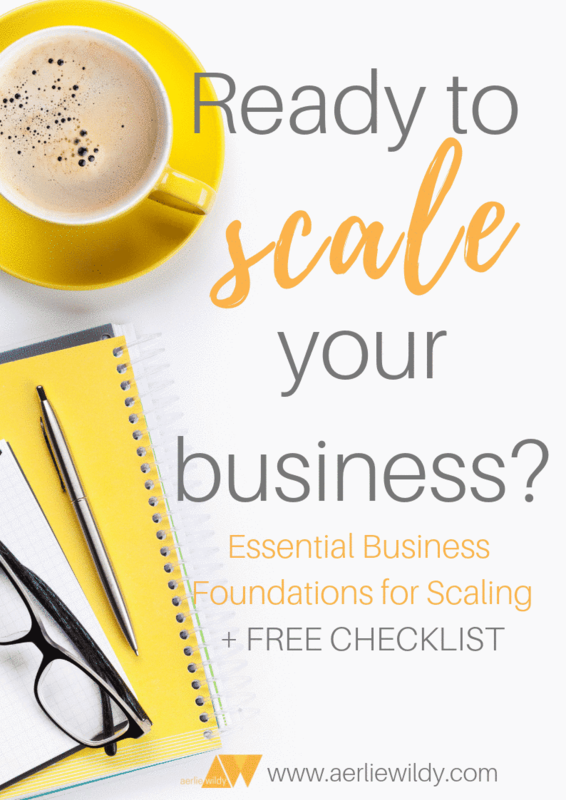 In fact, I’d say you’ve been getting ready to scale your business since you started! 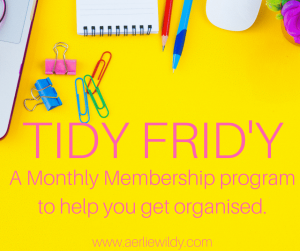 You’ve been improving, getting organised, setting up systems, refining….see – you might be more prepared than you think. 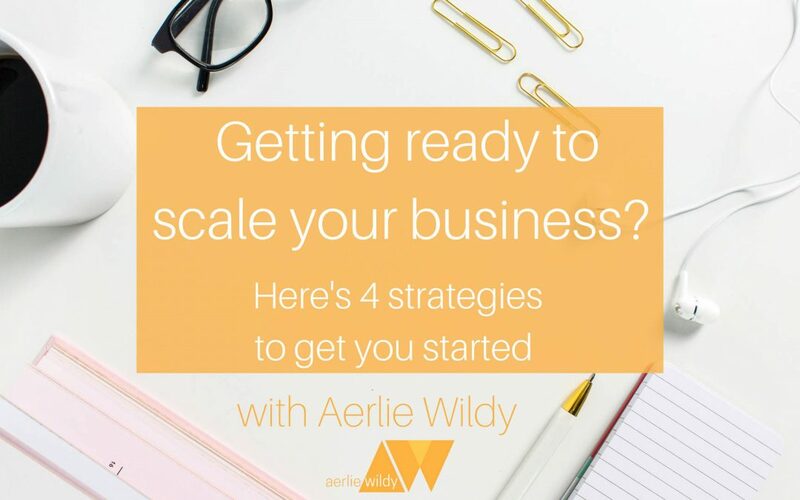 Today’s short video is about 4 strategies if you’re getting ready to scale your business. Scaling is essentially that process of moving from working IN your business all the time, to working ON your business, as the CEO. Think about it…at the moment, you probably handle EVERYTHING that your business does. Great, but how are you going to take time out to plan your next launch? When you do everything, there’s little time for the big picture planning or designing, so scaling your business so that the systems are doing the hard work for you, and so that you can grow is an important next step. 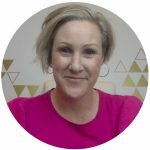 Today’s video focusses on 1 key point that will help you find more time to scale, and then another 3 strategies for getting ready to scale. It’s a new way to work! #1 Yes – an important part of scaling your business is improving your productivity. You need more time so that you can think about the big picture. I’m not suggesting you need more time so that you can do more work….I’m suggesting you implement some productivity strategies such as having a weekly schedule, prioritising, reducing the distractions…things that will help you be more effective with the time you have. If there’s something that you do regularly, or takes up a lot of time – batch it. You can batch invoicing, client checkins, video creation, newsletter writing. You are so much more efficient AND effective when you focus on one thing, so batching (and scheduling time to batch) is super important for you to be able to step into less doing and more CEO’ing. Your business has been running for a few years now. You’re not in start up anymore! You know more about HOW you want to work, the type of lifestyle you want, and what your business should look like. Once you have clarity around that, it becomes so much easier to make it actually happen. I’m a sucker for sitting down and writing or creating content. I will also admit that it’s a bit of a comfort zone for me – because I’m being ‘busy’ and productive, but if I held a magnifying glass over that behaviour, I would admit that it’s so that I didn’t have to put myself out there. I have LOADS of content. I don’t need to spend SO MUCH TIME creating new stuff! A few weeks ago I recorded an analysis of how I spent my time, and it was apparent that I spent too much time creating content and not enough time systemising the promotion of it, or setting up to repurpose it. 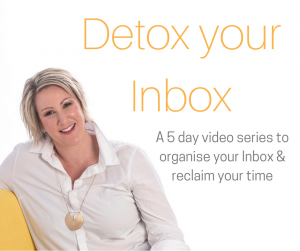 It’s a massive time saver that I’m totally ready to tap into! So pick one of these that you know you need to focus on and start to implement it into your weekly schedule. 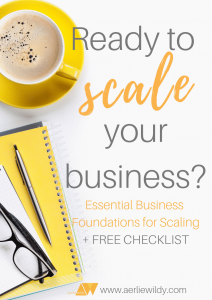 We’re aiming for a more systemised and structured business that isn’t reliant on you being involved in everything.These 4 strategies are designed to help if you’re getting ready to scale your business. 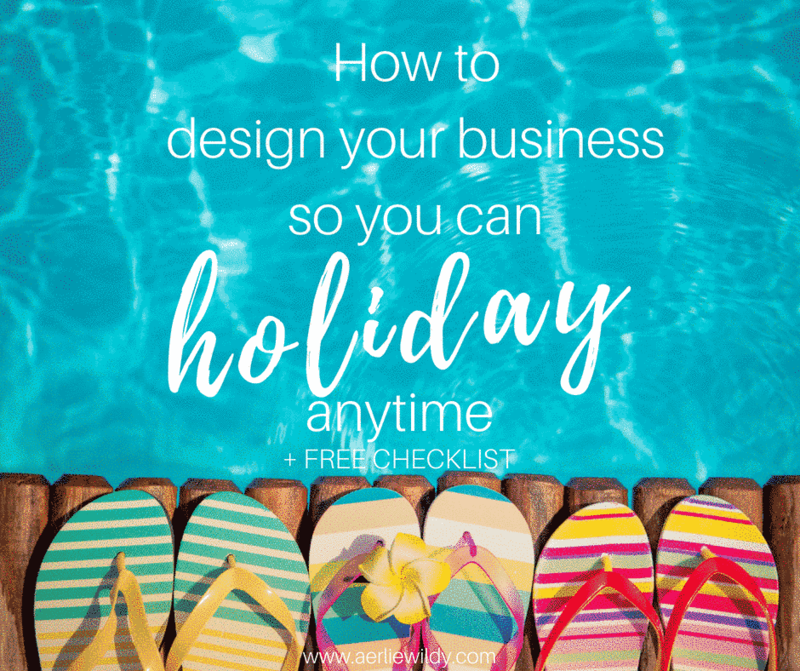 If you’re ready to step away from your desk and even have time for a holiday, then download my checklist with tips and strategies to help you transition from working in your business to working ON it – and growing it!